A full summer of volunteer opportunities! The Wilderness Institute – Citizen Science Program, University of Montana, in partnership with the Bureau of Land Management, is seeking volunteers to work with experienced field leaders to evaluate wilderness character across our public lands. This season WI will be covering Wilderness Study Areas (WSAs) in eastern and southwestern Montana. Join us and learn about monitoring methods, recreation impacts, invasive species, and the natural history and wildlife across Montana’s empowering landscape. The Wilderness Institute’s Citizen Science Program builds on a growing movement that engages citizen volunteers in monitoring the ecological and social aspects of our wildlands. Wilderness stewardship is increasingly jeopardized by declining federal dollars available to wilderness managers. Since 2005, the Wilderness Institute has worked closely with agency and community partners to address this short-fall by recruiting citizens to help trained field staff assess on-the-ground conditions, perform basic stewardship activities, and monitor wilderness character. Citizen science in wilderness provides an opportunity to broaden civic engagement in wilderness stewardship. 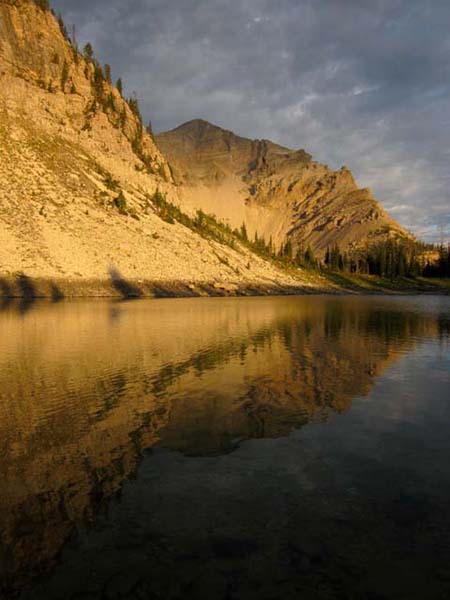 Citizens often have local knowledge of particular ecosystems and can help managers and scientists understand the broader social, economic, and political context of changes occurring in wilderness. Through citizen science, citizens can also build community capacity to use science to understand ecological change, and inform discussions with land managers on issues of wilderness management. Through our citizen monitoring project, community volunteers monitor weed invasion, recreational impacts, and selected elements of wilderness character across designated Wilderness and Wilderness Study Areas in Montana. Since 2005, over 350 community volunteers have helped survey trails through seven Wilderness and seven Wilderness Study Areas, generating baseline data that is being used to assess current, localized conditions and broader ecological, physical and social trends. Monitoring reports provide managers and citizens with critical information to inform stewardship activities and decision-making, protect native wildlife habitats, and help maintain quality recreational opportunities in these special places. Find out more about our citizen monitoring program. Field leaders and citizen volunteers mitigate the spread of invasive weeds in Wilderness and Wilderness Study Areas through targeted hand-pulling and thorough inventories of weed infestations. Data collected exposes patterns and pathways of weed invasion and guides mitigation and restoration efforts. Outreach promotes public awareness of the impact invasive species have on the integrity of our public lands, and the role individuals can play in curbing this spread. The Wilderness Institute builds community capacity for involvement in public lands management by engaging community organizations and volunteer citizens in project planning, interpretation of results, and on-the-ground conservation and monitoring of Wilderness and Wilderness Study Areas. The Institute also offers public presentations to advance discussions about citizen science and broaden the way communities, agencies, and individuals think about both science and civic engagement. Ultimately, we aspire to promote the health of our wilderness ecosystems by helping to build a local constituency invested in and connected to nearby public lands.